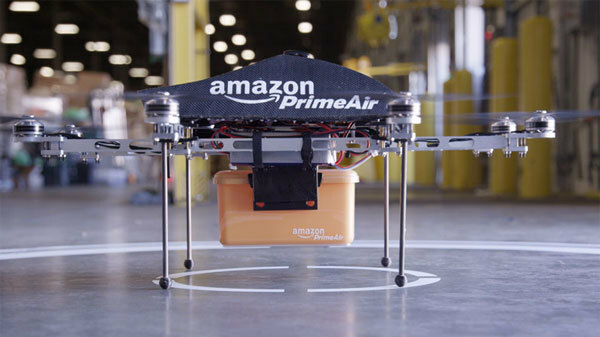 Gosh, I've been waiting to use that title since I read about Amazon's new Prime Air drone service. I'm breathless at the possibilities. Drones can take my kids to soccer and lacrosse practices. A drone can fetch my coffee from Starbucks. Out of sugar for that coffee? How about a drone delivery of a packet of Splenda from my neighbor down the street. And, yes, your nonprofit absolutely positively needs a drone. (Need a new coin canister for your register fundraiser? No problem. I'll fly one right over!) Of course, that's a few years away. But that doesn't mean you can't - TODAY - start thinking like an organization that plans to use a new, radical technology. In Tuesday's Wall Street Journal Bret Stephens provided a roadmap of sorts for learning from the Amazon Experience that made Prime Air a reality. He applies his lessons to Obama, but they can be applied to nonprofits as well. Get real. Bret quotes an Amazon insider who says the company "embraces the truth." If something is broken, it needs to be acknowledged and fixed. But most nonprofits don't embrace the truth. They deny, minimize and obfuscate. But embracing the truth about your organization, its challenges and what's holding it back are the things that will set you free. Sweat the details. Amazon is legendary for breaking down each step of the checkout process to make sure they are not giving customers an excuse to say NO and to buy elsewhere. Is your nonprofit bringing the same kind of analysis to your checkout process? You're thinking you don't have a checkout process. But you do. If you have anything online with a donate button, you have to be obsessive about making sure it's easy for supporters to donate. Judging from what I experienced yesterday with #GivingTuesday, giving is not always as easy as it should be. I had planned to give to five organizations yesterday, but I ended up only giving to three because the other two just made it too hard to give. Better luck next time - if there is one. Be a searcher. Bret makes a great point here. Planners have a preset idea of what should work. Searchers figure out through trial and error what does work. Wowza. Let's use another online example. Nonprofits tell me all the time about their websites. They want to do this or that, and, of course, they desperately need a mobile website. But while they're planning, they're missing the fact that no one visits their website anyway - nor is their website the place where engagement happens. The action is on social networks like Facebook, Twitter, Instagram and Pinterest, which are naturally optimized for mobile. If they had bothered to analyze the data and trends they would know what works! I could go on and on, but I have work to do. That helipad in the backyard isn't going to build itself!